This fun, fresh, creative twist on a traditional salad makes the Pittsburgh Salad the must try salad of the Summer. Growing up, Pittsburgh seemed like a world away. I’d never been there, didn’t know anyone there, and never even thought I’d ever have a reason to go there. Fast forward to my current life, and I’m married to a 4th generation Italian immigrant, with a bit of Polack thrown in for good measure. Thanks to my husband’s Great Great Grandfather, he still has his true last name. Brothers immigrated together; one chose to keep his heritage via his native last name, and the other chose to Americanize his, as was suggested. Ironically enough, everyone settled in the hot bed that is Pittsburgh, Pennsylvania and the suburbs surrounding it. Both brothers, happily enough. Roughly 80 years later, we’ve dispersed– or I guess I should say that they have, and they’ve moved across the country. Our last name is unique. And while there’s still only a handful of us, we now hail from all corners of the U.S. The annual trek ‘home’ still happens, except for our generation– it isn’t a trip to the family farm in the fields of Italy anymore. It’s packing everyone up and loading the car for the 7-8 hour drive back home to Pittsburgh. It is a trip we all always look forward to making. It’s a wonderful city with a blend of so many cultures, which means so many flavors. I was simply overwhelmed the first time I went. The best gyro I’ve ever had is still the one from a random street vendor on the corner selling them out of a ramshackle tent. This weekend my sons all head off for a visit ‘home’ with their Nonno to help move, and comfort, their Great Nonna into a nursing home. Nanny may be small in stature, but she is fierce- and firmly independent since the death of her beloved husband. And she fiercely vets new additions to the family. 96 years young, so this is a big change and one I think will be important for her great grandsons to witness, but also to be a part of. Memories last long after we’re gone. My husband and I, unfortunately, have to stay behind and work this weekend. Naturally, we’re craving a little taste of ‘home’. Remember earlier when I mentioned that Pittsburgh is a hotbed of distinct flavors? Hold that thought. There is nothing more unique, or more enjoyable (in my humble opinion), than the Pittsburgh Salad. 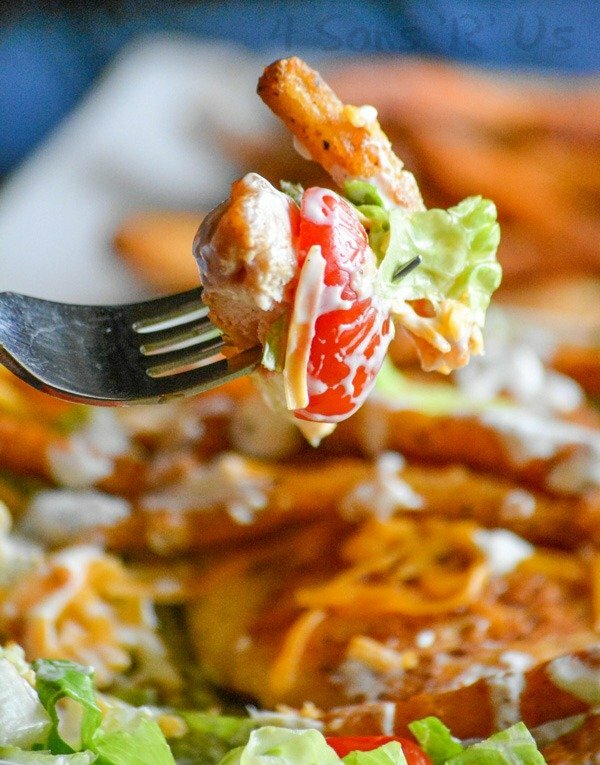 If you grew up anywhere else in the world, you may not be aware that fries on a salad are a thing. 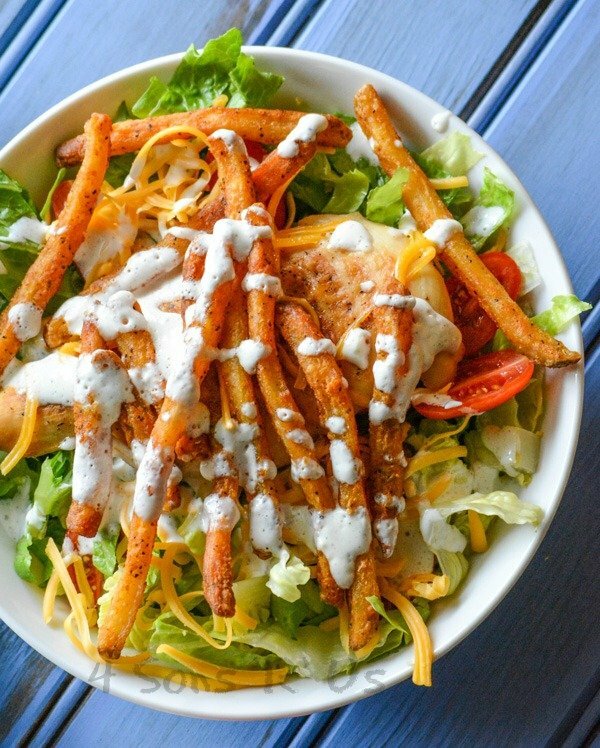 If you grew up in Pittsburgh, you may not be aware that elsewhere in the world french fries on your salad may get you looks of horror from fellow diners. If you’re new to the Steel City’s salad staple, I can promise you– it’s delicious, addictive even. A bed of your favorite lettuce is studded with fresh tomatoes, and topped with a juicy piece of grilled chicken or (even more commonly up North) steak (it’s a great way to use up any grilled leftovers too!) and a heaping helping of crispy french fries. Sprinkled with cheeses and drizzled with dressing, it’s a complete meal in a bowl. 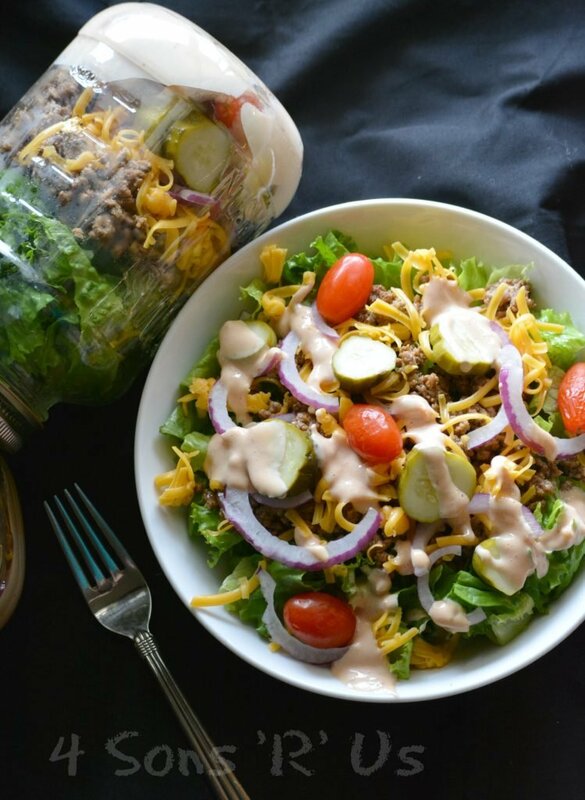 Whether you’re looking for a reminder of a hometown favorite, or wanting to branch out and add a little bit of comfort to an otherwise healthy dish– the Pittsburgh Salad has it all. 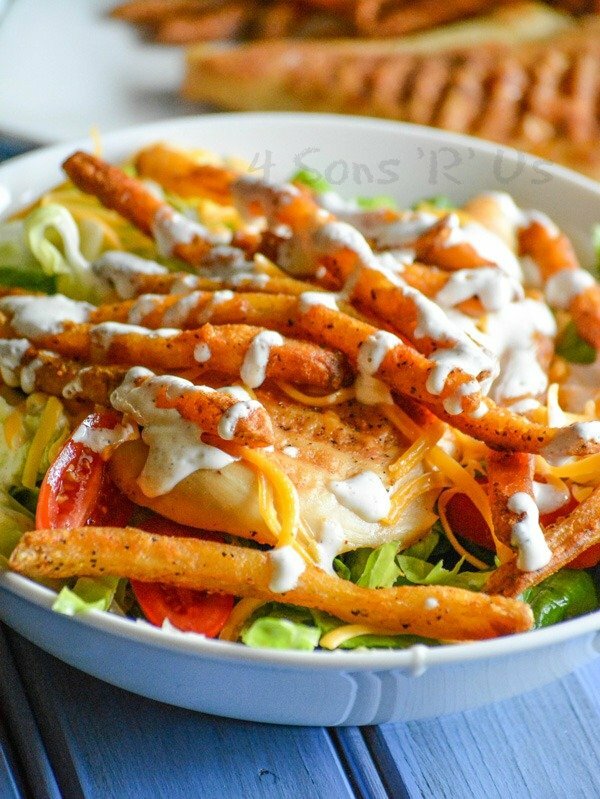 A hearty salad that originated in Pittsburgh, it's unique spin on the leafy dish features grilled chicken or steak and a heaping helping of crispy French fries. Cook the french fries according to package directions, making sure to double, triple, quadruple the amount for the number of desired salads. 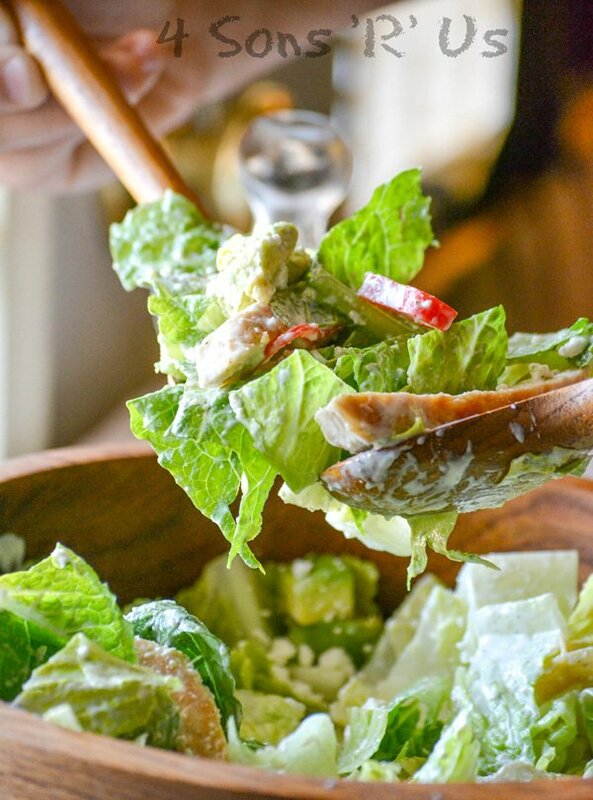 Place the desired amount of lettuce into a large, shallow bowl or onto a large plate. Add a handful of tomatoes. Place your grilled chicken, or steak, on top in the center. After cooking, let the fries cool so that they're warm but no longer actually hot. 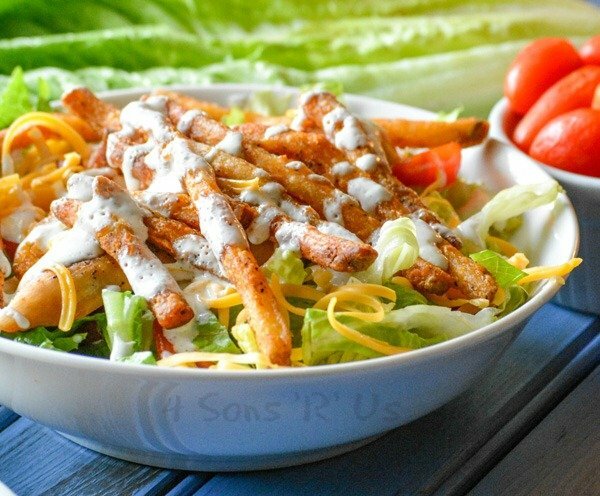 Spread the fries out over the assembled salad. Sprinkle with the desired amount of cheese, we usually use 1/4 cup per salad. 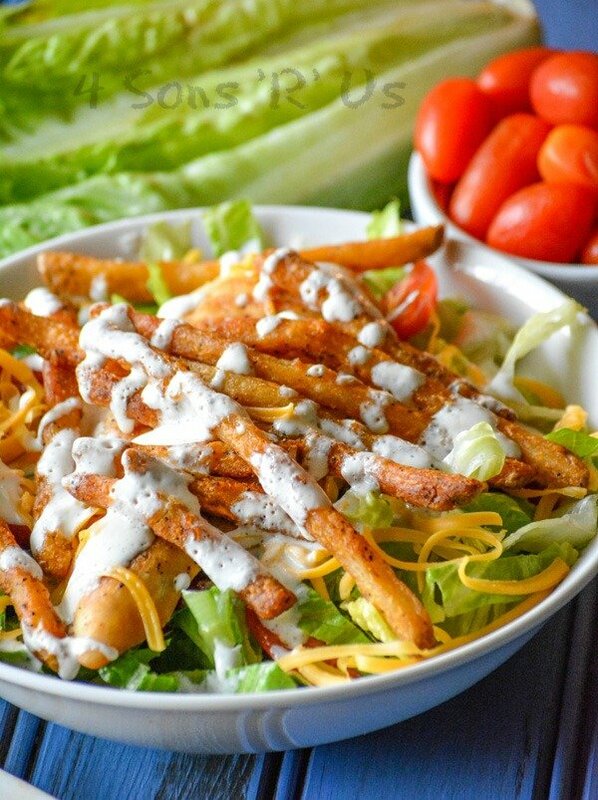 Drizzle with ranch dressing. Repeat as many times as necessary for the number of salads required. While this salad is true to our experience in Pittsburgh, and our favorite way to enjoy it-- it can easily incorporate your own favorite salad veggies, like cucumbers, carrots, even red onion. Now, this is my kind of salad! Droolworthy to say the very least! So glad to see that you added the bit about other veggies. I am lucky enough to live about 20 miles outside of Pittsburgh and have never had a salad with only lettuce and tomatoes. Mine have always had cucumbers and a ring or two of onion–that last item gets handed over to my husband. Hmm, now I know what I’d like to have for supper this evening! Everybody likes things differently, of course. 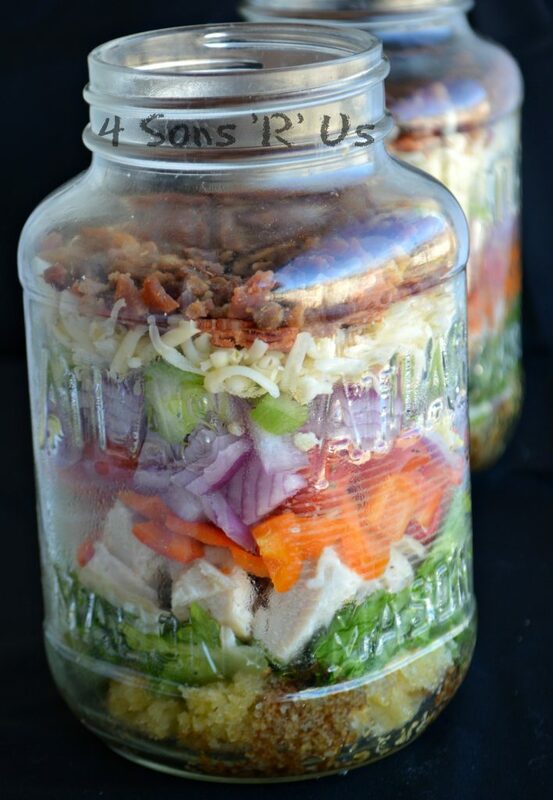 I just prefer not to waste all those yummy extras when making this particular salad for my kids. I think it’s something about all those veggies mixed in with their fries that it’s the one time they will all steadfastly pick them out. Ohmygoodness! My husband and I think about this salad all the time! We’re from the Cleveland area (I know, I know) and now live in Phoenix. We used to be able to get these salads in Ohio, but def. not here! Can’t wait to make this at home! Isn’t it great when you find a way to make a regional favorite at home and take that yummy nostalgia with you?? Just visited Pittsburgh for the first time last week, was surprised to see that fries went on sandwiches there, I am even more surprised to see them on a salad 🙂 Looks great though, and Pittsburgh is a beautiful city! Yup, on both. I prefer them on my salad since I think they get to soggy on a sandwich. Agree, Pittsburgh is awesome. I loved hearing about your family history. And Fries on a salad is the absolute best. I grew up thinking it was a thing everyone did. 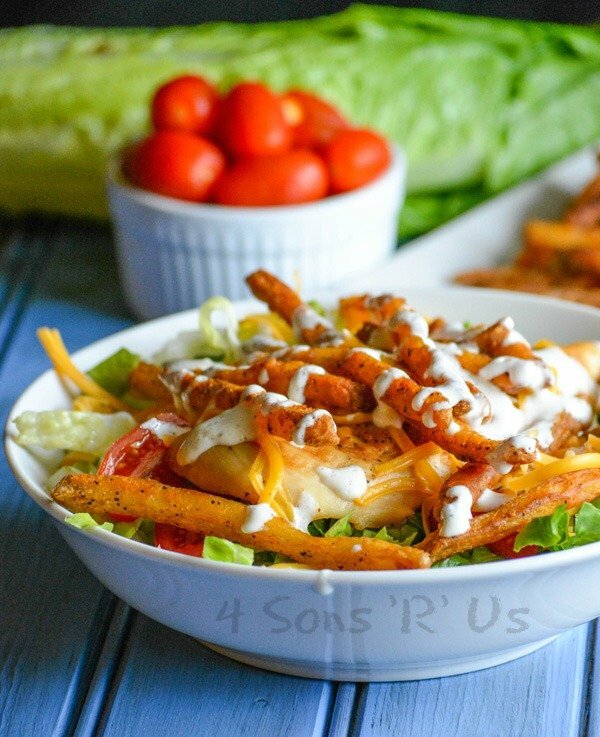 The first time I went home with my husband to meet the family, I totally stared wide eyed at all the fry topped salads, lol.